Buy online REF-02 Voltage Reference in India at low price from DNA Technology, Nashik. 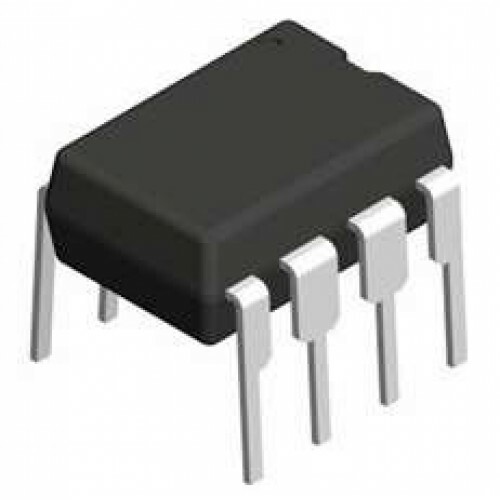 The REF02 series of precision voltage references provide a stable 5.0 V output with minimal change in response to variations in supply voltage, ambient temperature or load conditions. The devices are available in 8-lead SOIC, PDIP, CERDIP, and TO-99 packages, as well as 20-terminal LCC packages (883 only), furthering the usability of the devices in both standard and high stress applications. With an external buffer and a simple resistor network, the TEMP terminal can be used for temperature sensing and approximation. 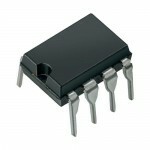 A TRIM terminal is also provided on the device for fine adjustment of the output voltage. The small footprint, wide supply range, and application versatility make the REF01/REF02/REF03 series of references ideal for general-purpose and space-constrained applications. Newer designs should use the ADR01/ADR02/ADR03/ADR06 series of references, which offer higher accuracy and temperature stability over a wider operating temperature range, while maintain-ing full pin-for-pin compatibility with the REF01/REF02/REF03 series. This data sheet applies to commercial-grade products only. AD586 High Precision 5 Volt ReferenceThe AD586 represents a major advance in state-of-the-art monoli..
AD584 Precision Voltage ReferenceThe AD584 is an 8-terminal precision voltage reference offering pin..
REF-03 Voltage ReferenceThe REF03 series of precision voltage references provide a stable 2.5 V outp..